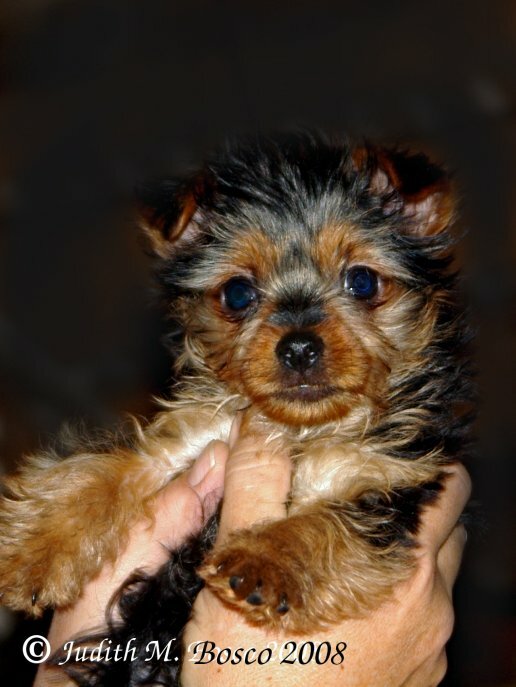 My friend Sharon got a new Yorkie last month for Christmas. 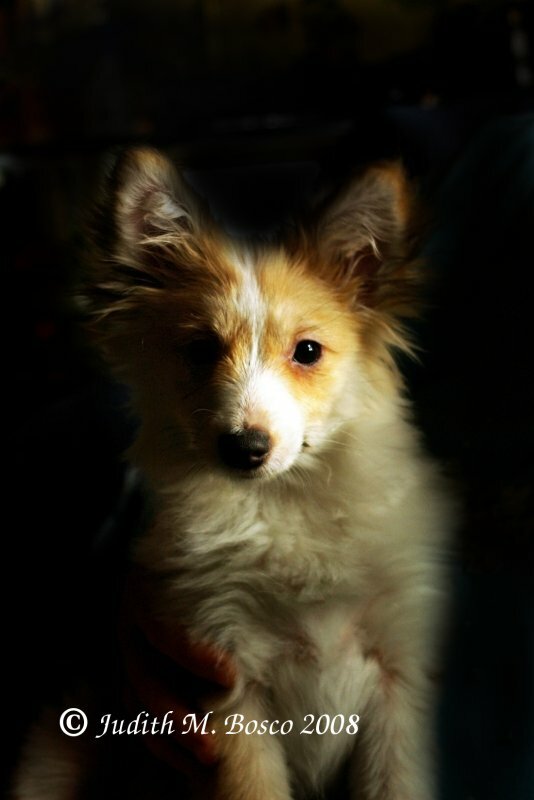 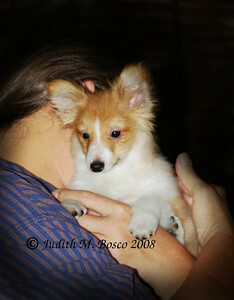 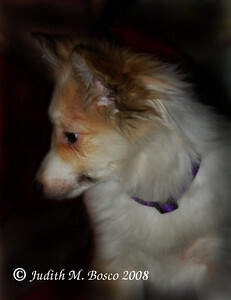 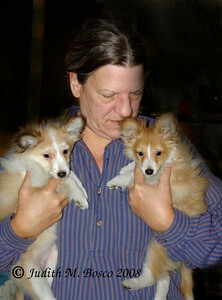 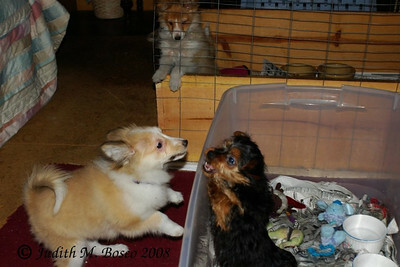 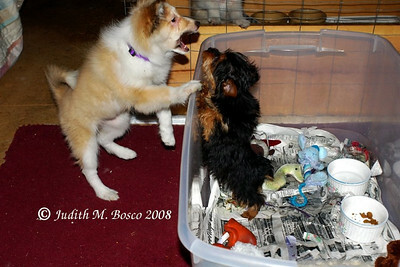 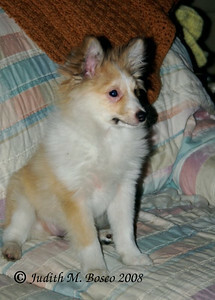 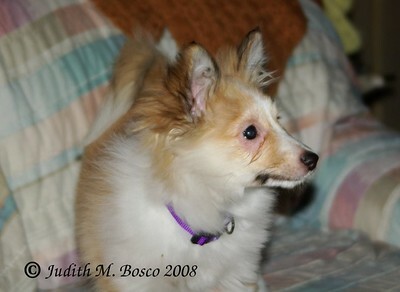 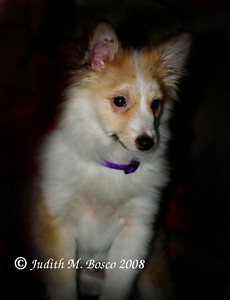 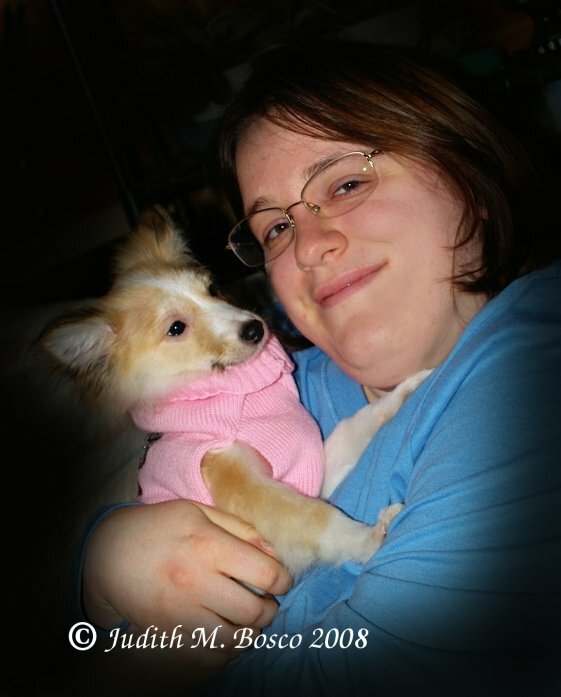 She also adopted 2 Sheltie mixes that had been abandon in a trailer. 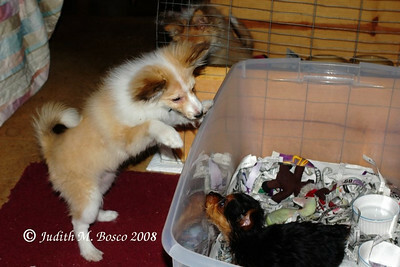 The smaller one has a heart murmur but that has not stopped her from being VERY active! 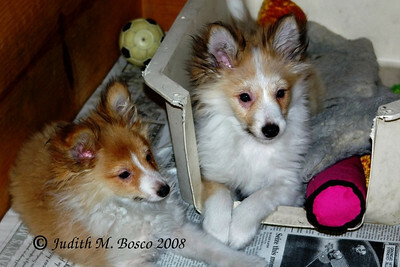 The larger one went home with my daughter. 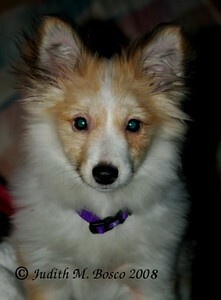 She is way too cute and they have named her Vanille (pronounced Vanie the French word for Vanilla). 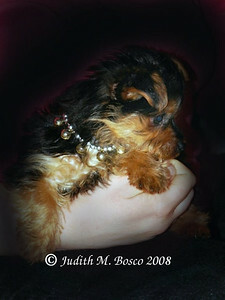 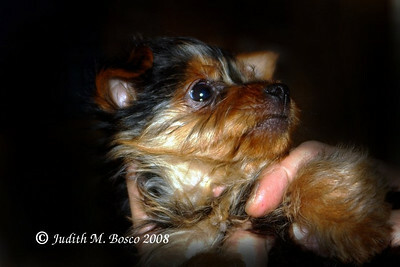 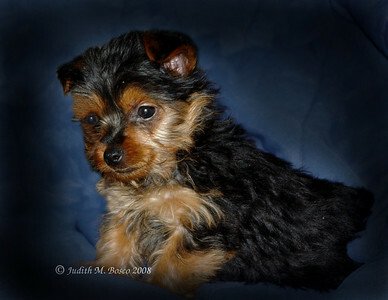 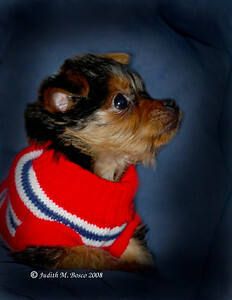 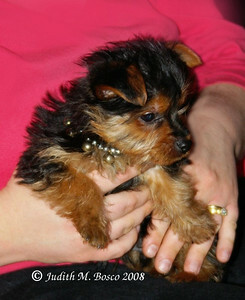 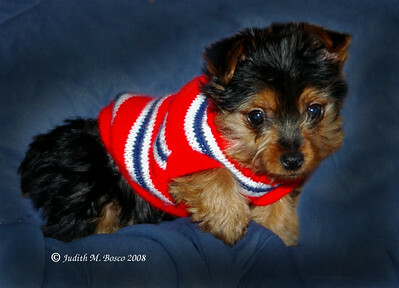 The Yorkies name is Nicholas (after the Saint). 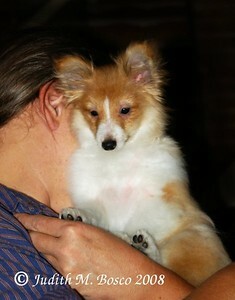 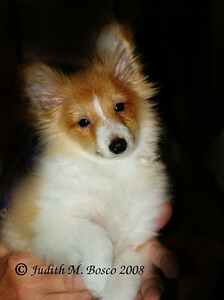 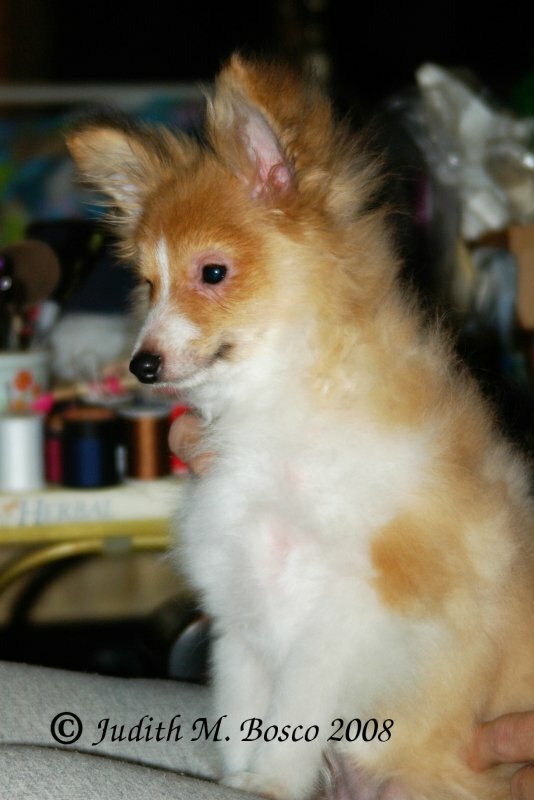 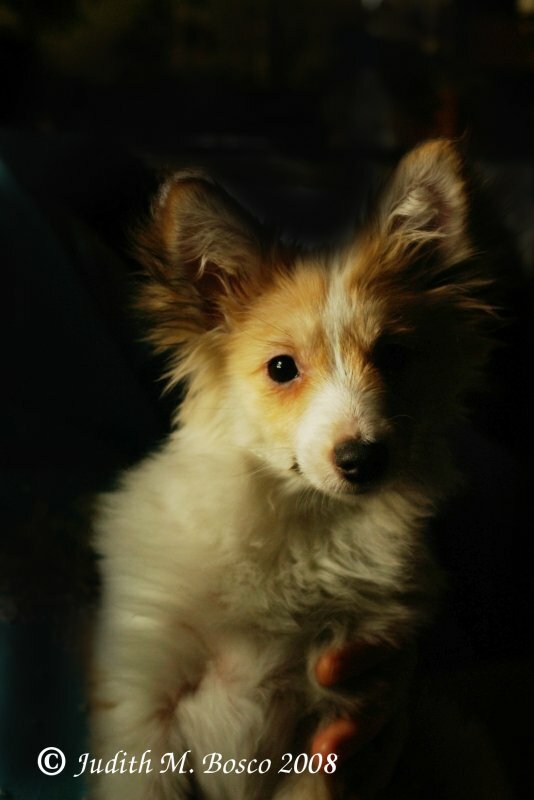 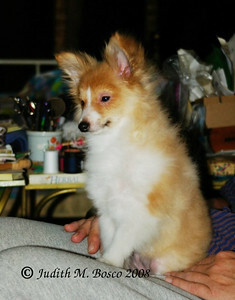 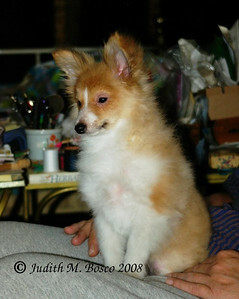 Annie is the smaller Sheltie's name. 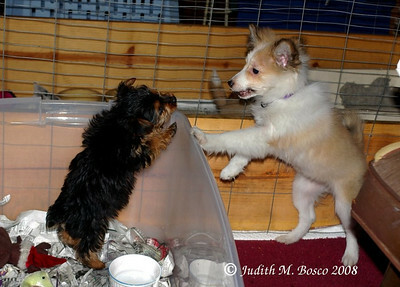 IMGP1113 Vanille on the left and Annie on the right. 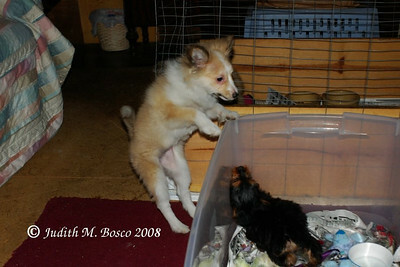 1143epn I love Annie's little black toes! 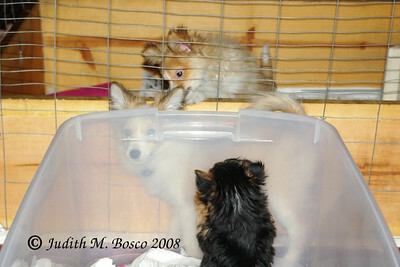 IMGP1083 Vanille and Nick playing while Annie watches. 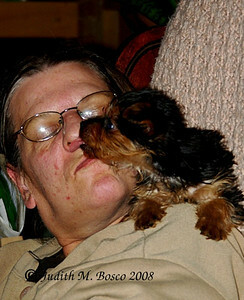 IMGP1087 Poor little Nick crash landed in this one! 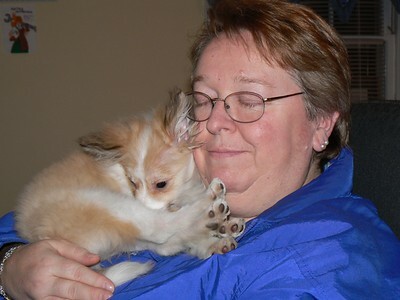 pawpile. 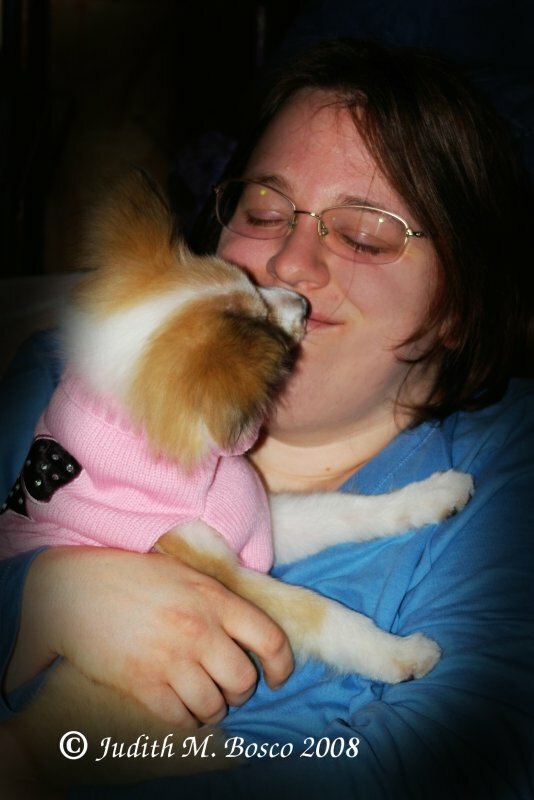 Vanille loves her grandma!